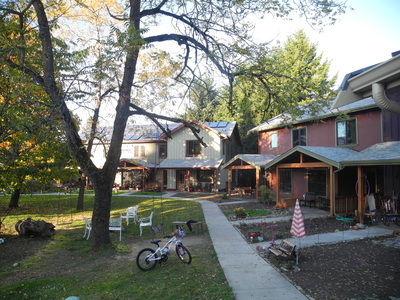 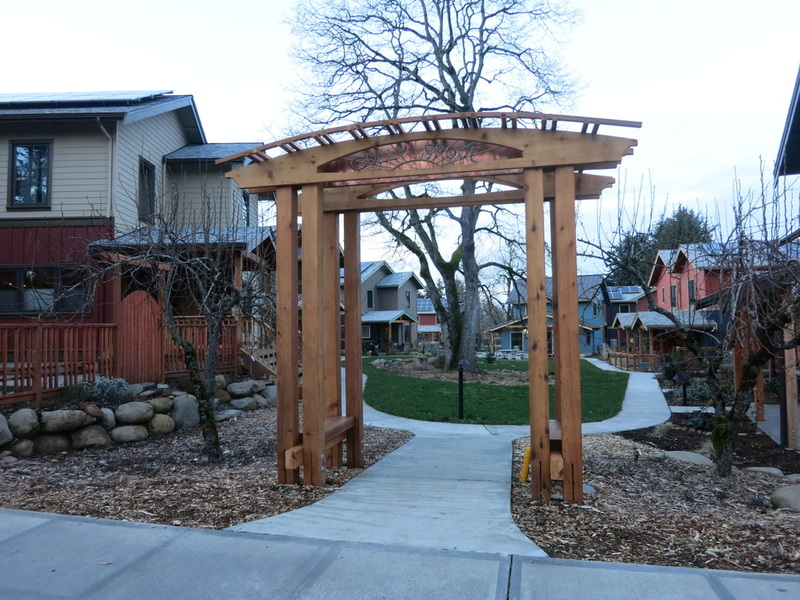 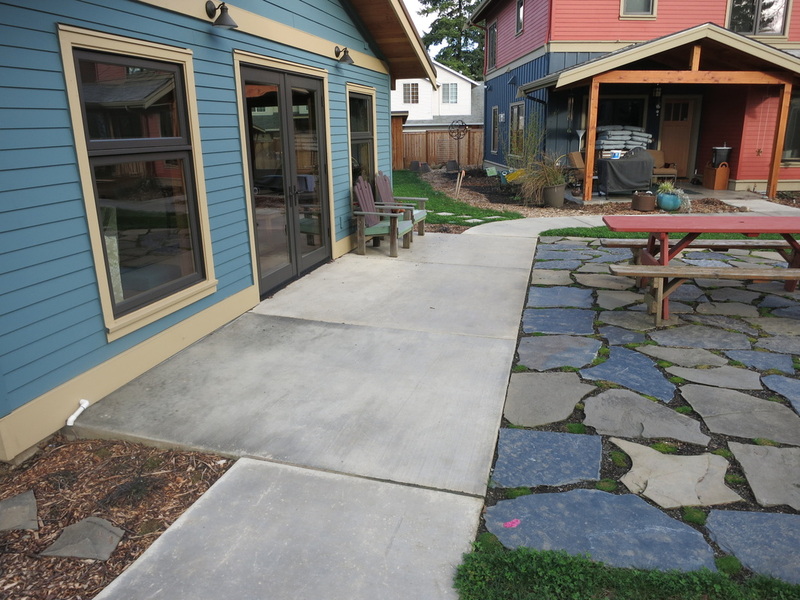 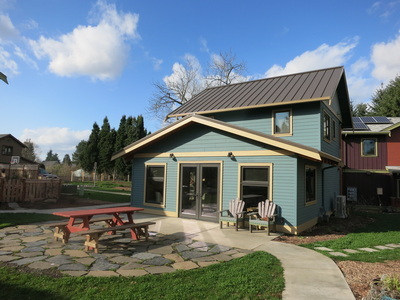 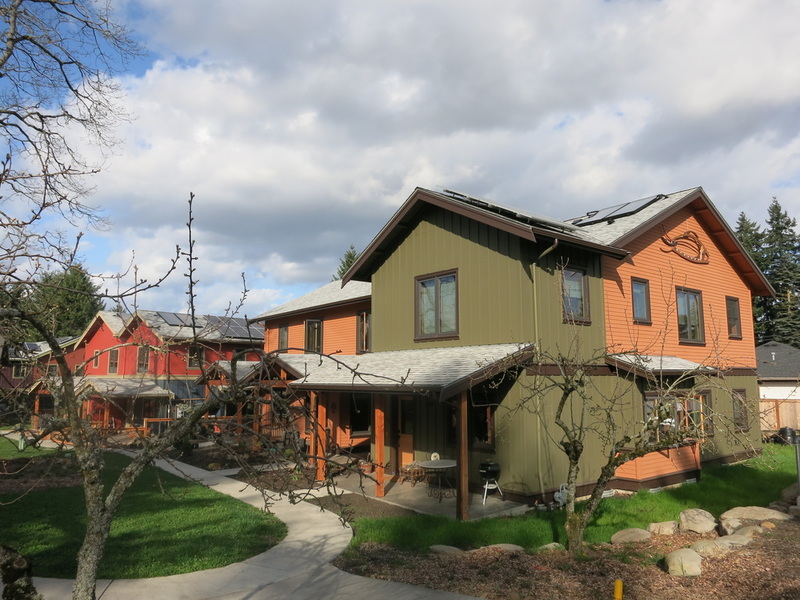 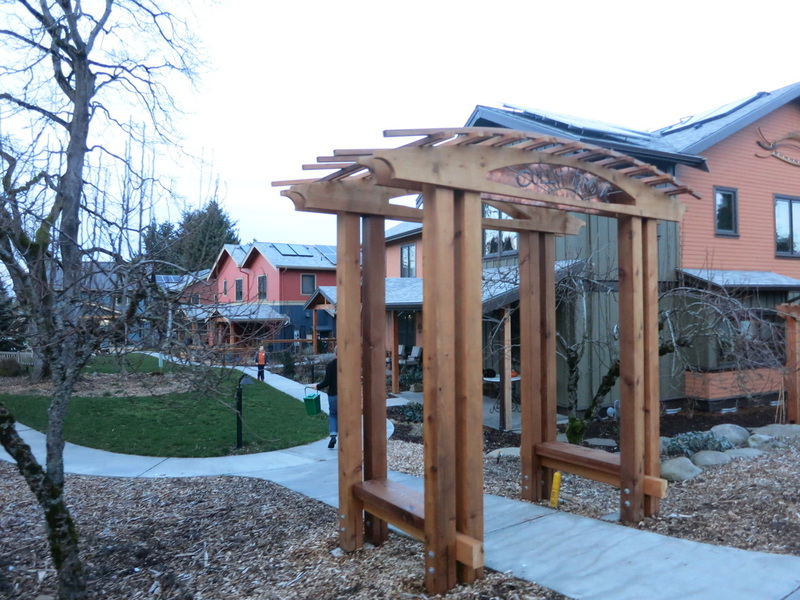 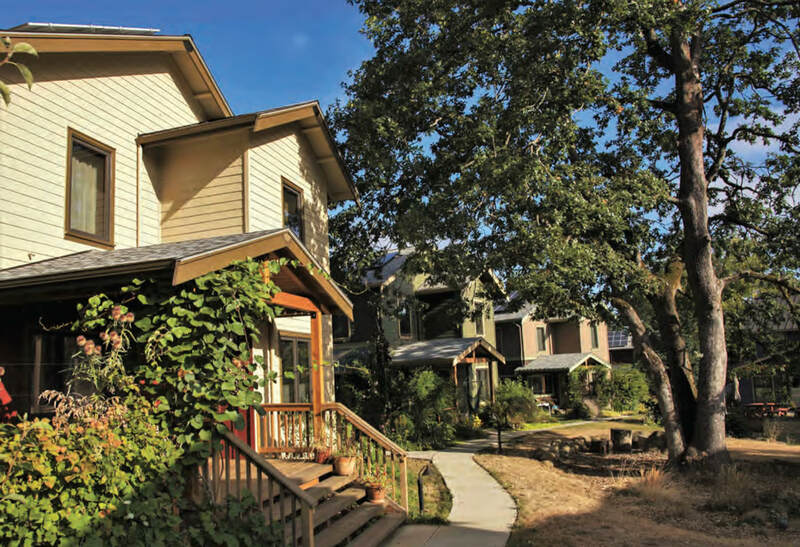 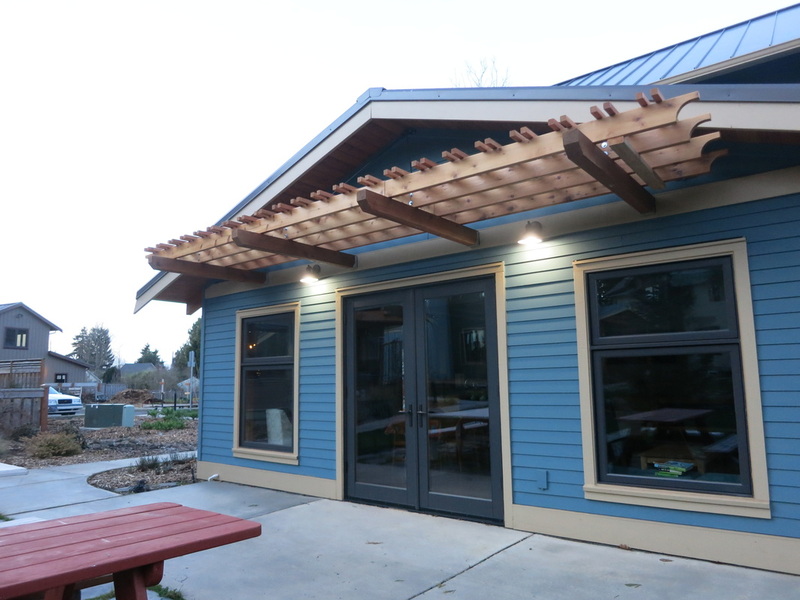 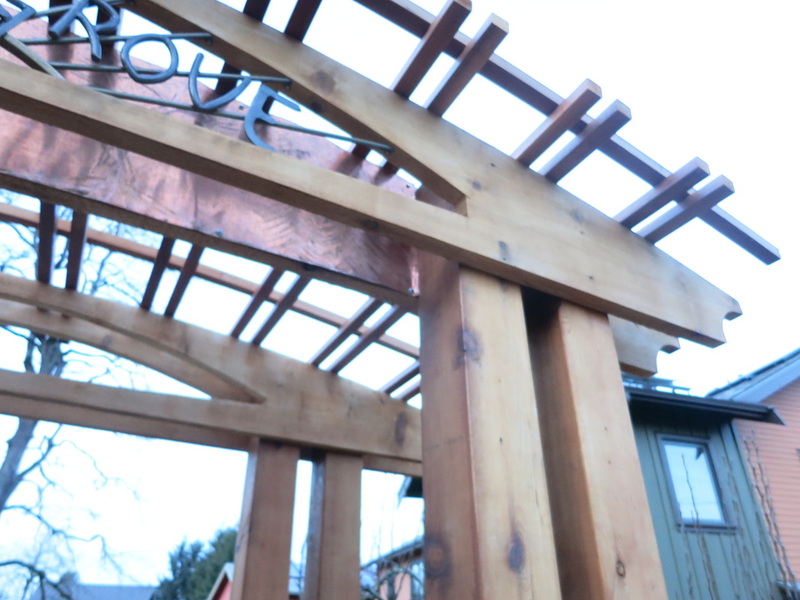 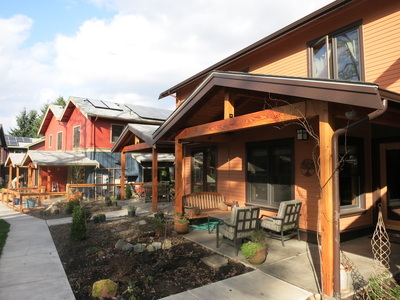 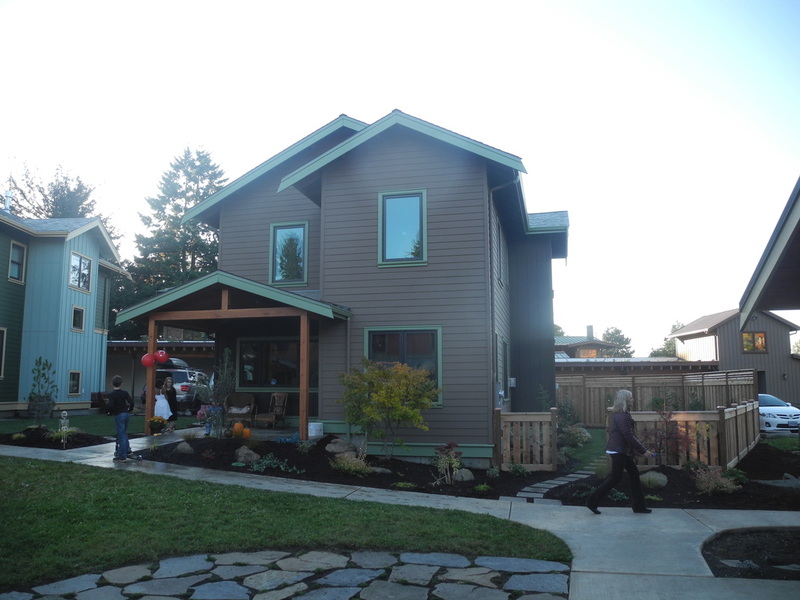 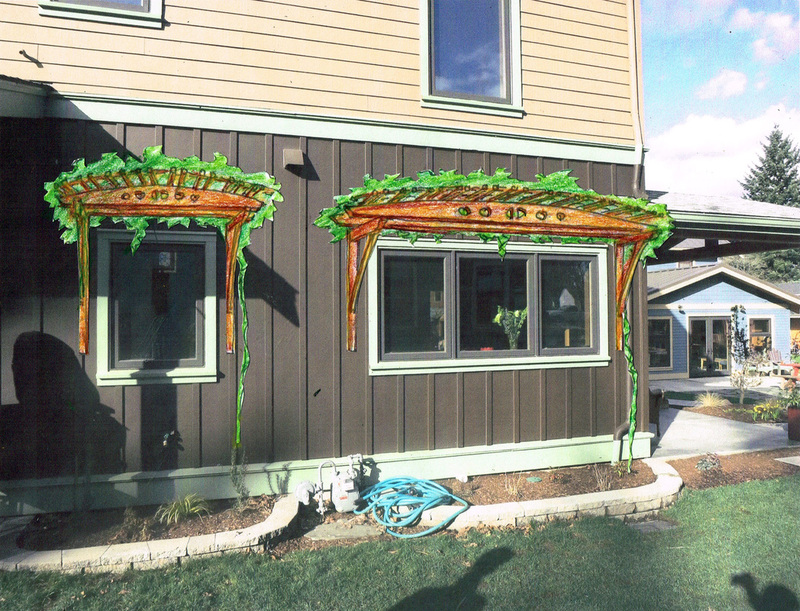 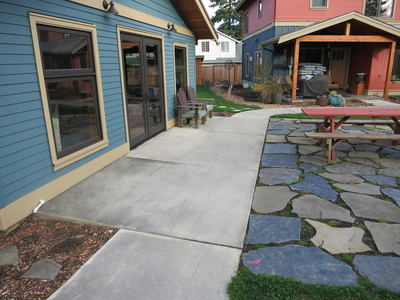 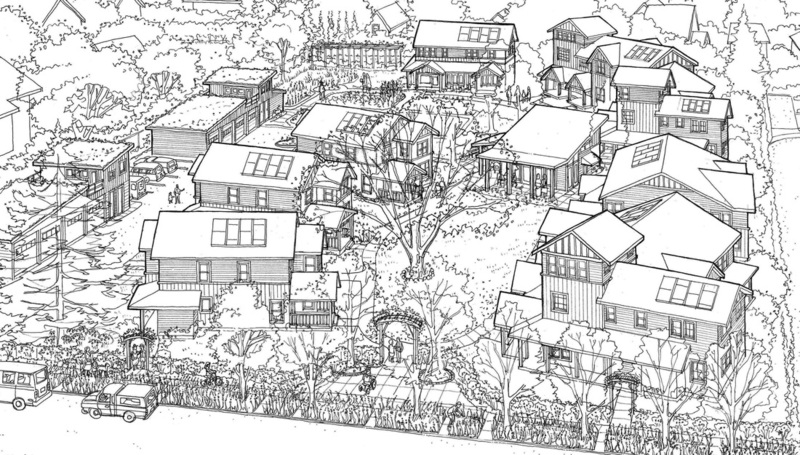 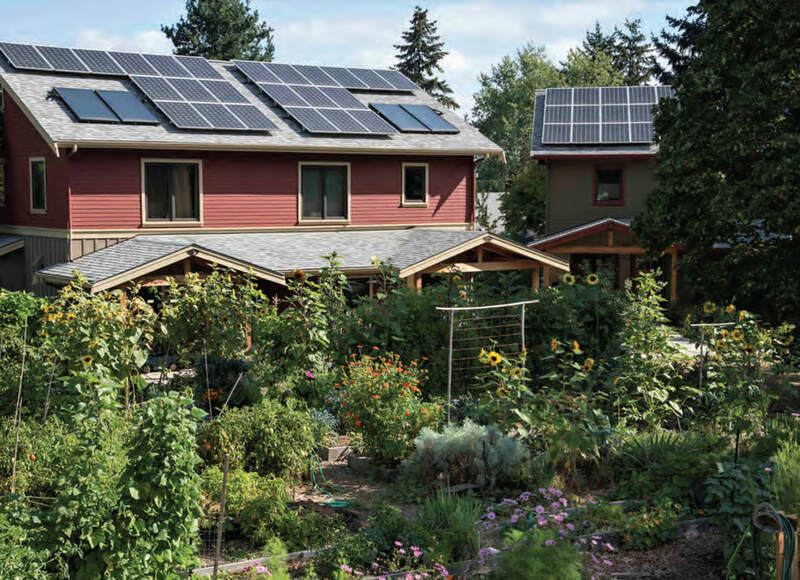 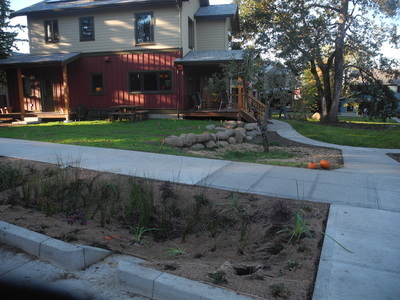 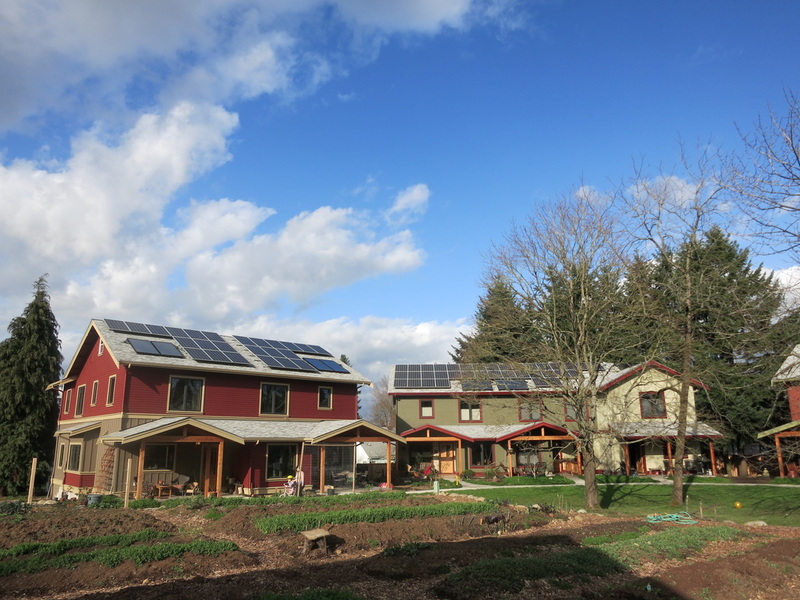 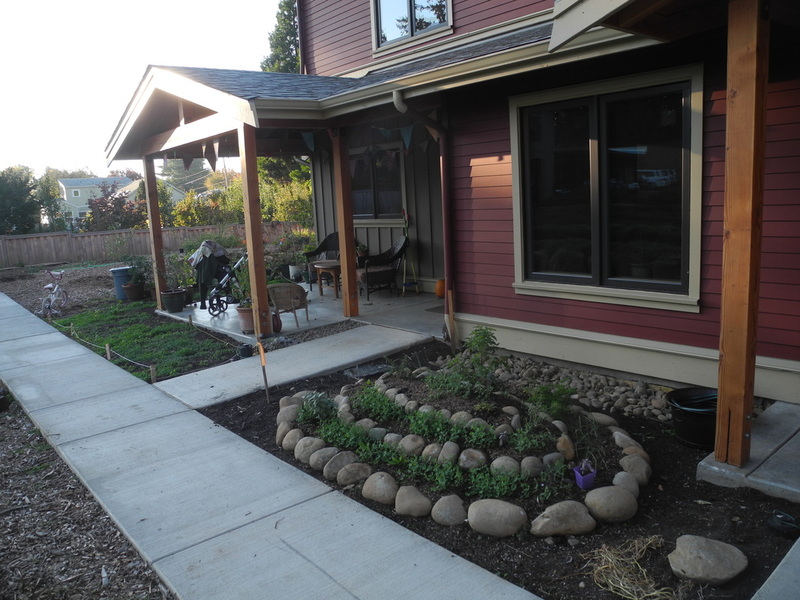 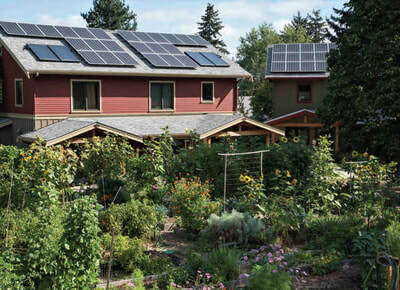 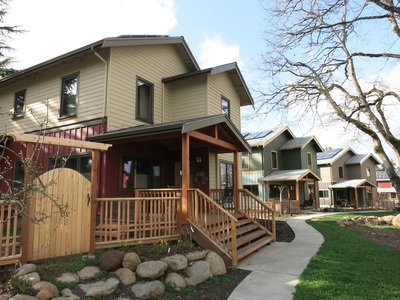 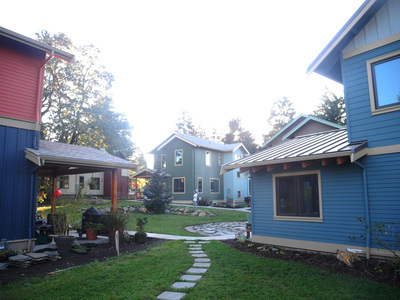 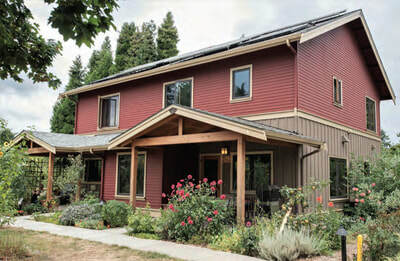 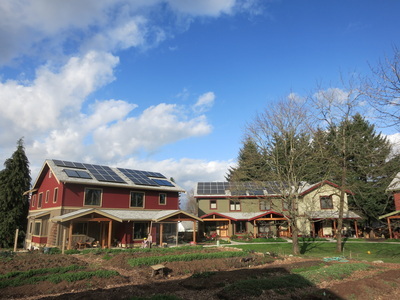 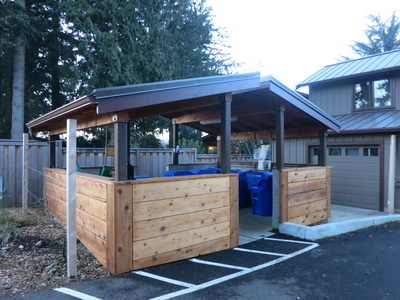 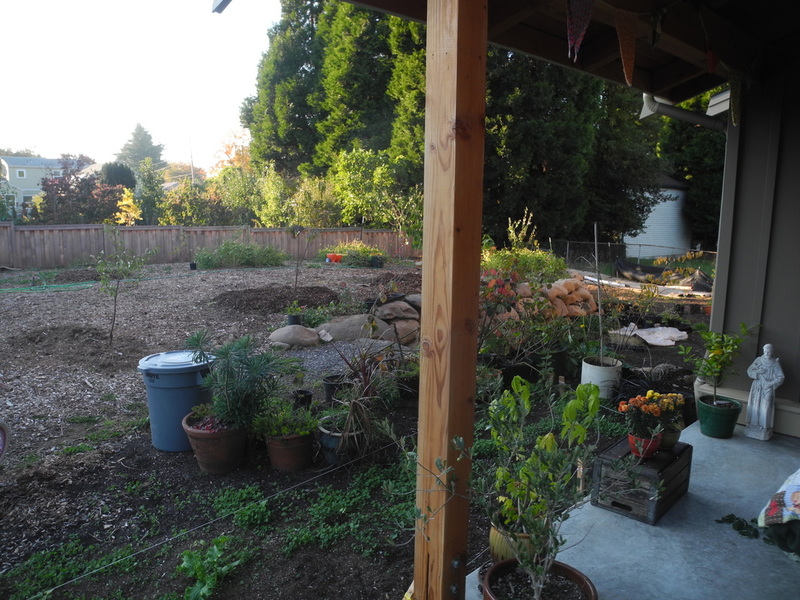 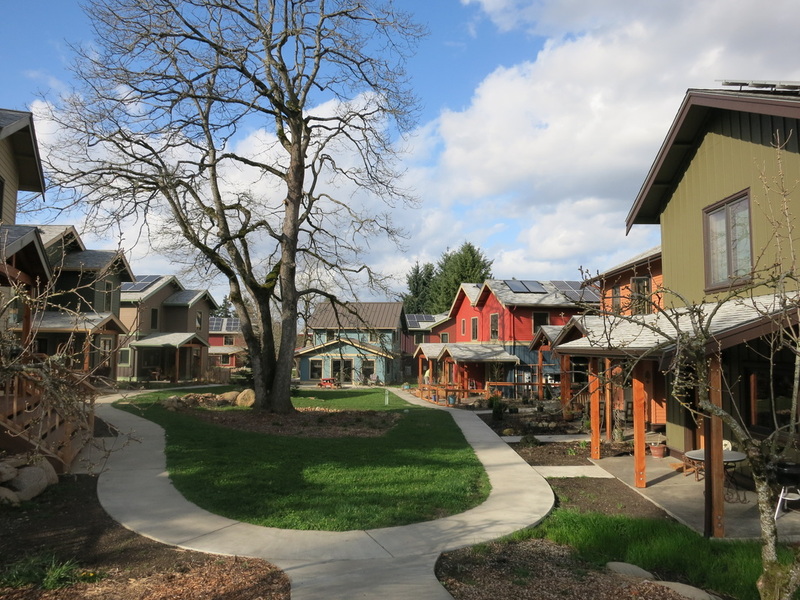 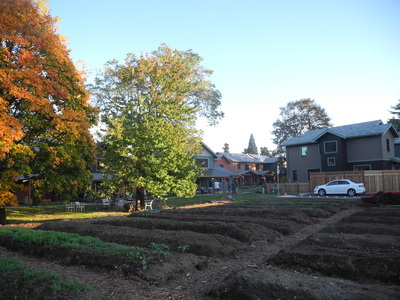 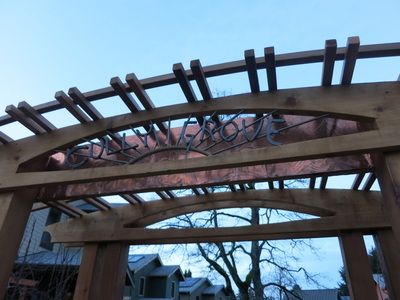 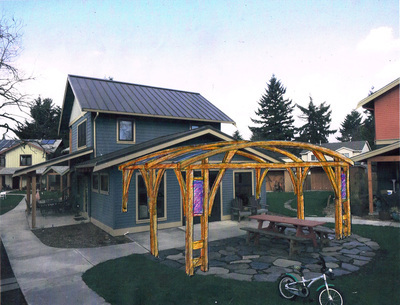 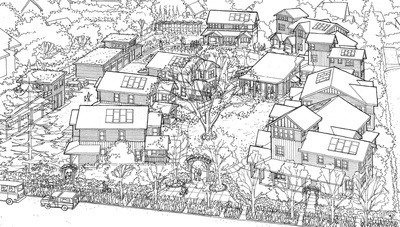 This community is the apex of cohousing projects in Portland, Oregon. 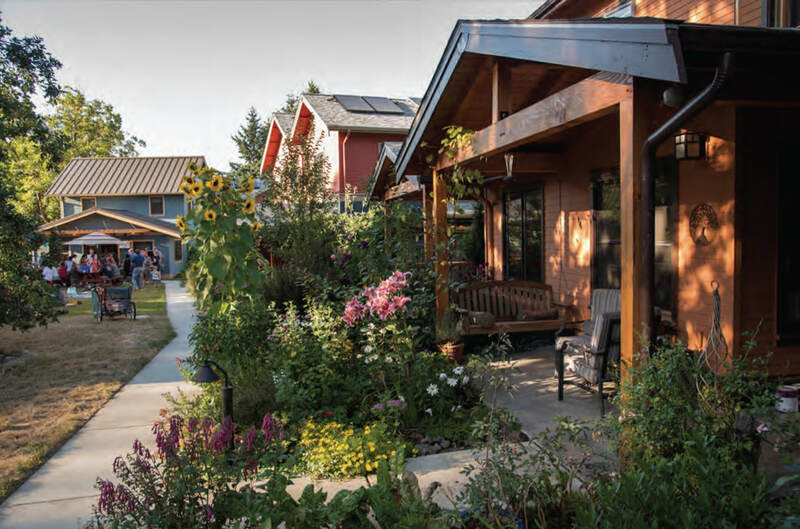 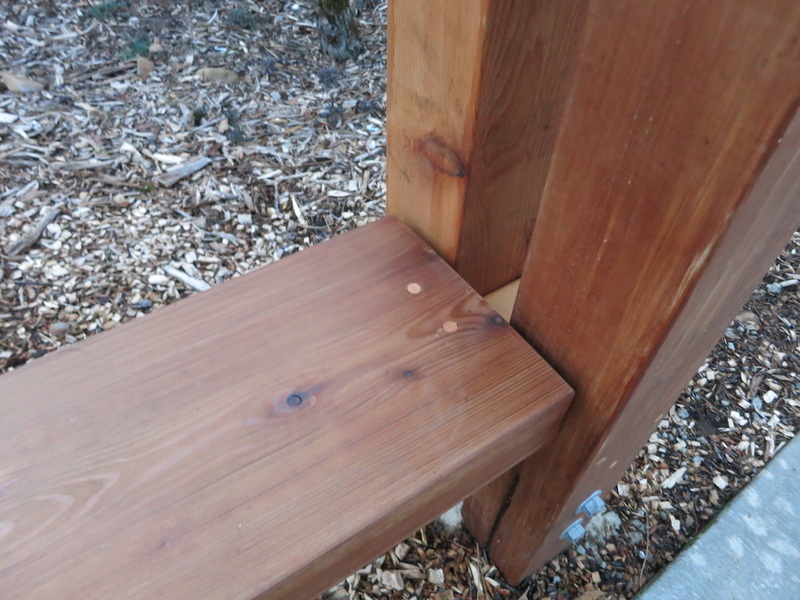 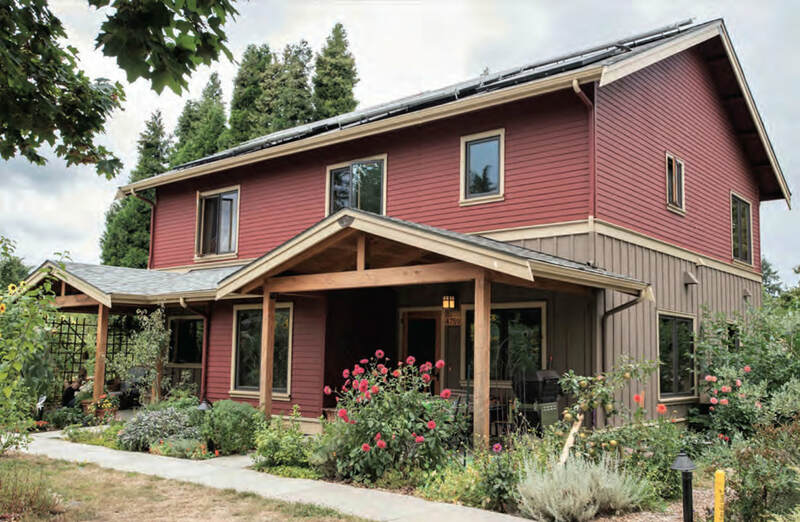 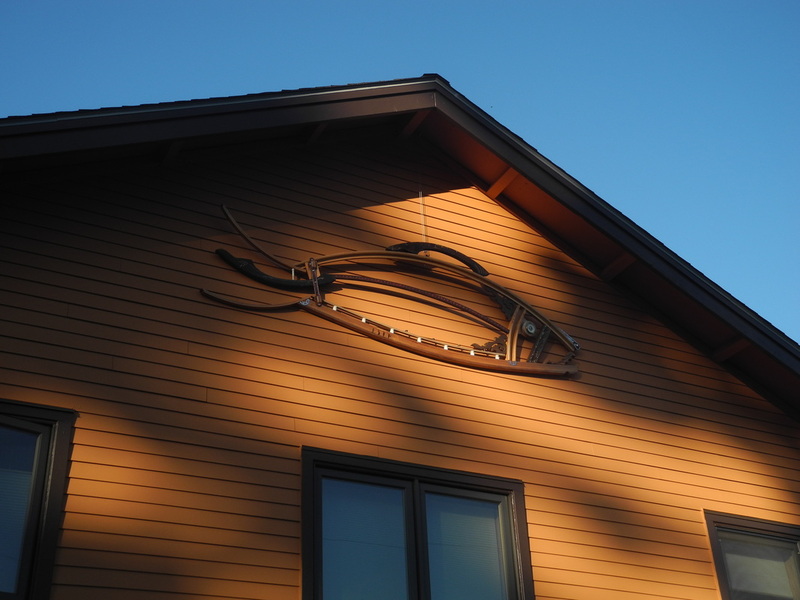 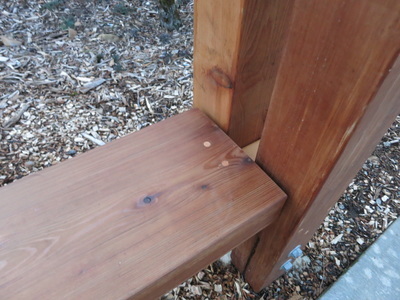 It is the culmination of many previous community initiatives, where all of the lessons have been combined into one lovely and sustainable living experience for sixteen families. Each home is approximately 1,600 square feet and carefully placed on the site so that the pathways gracefully wind through the landscape design and into new gathering places, natural areas, gardens, and play spaces. Working with Orange Splot Development and Green Gables, Communitecture has been a design consultant and design-renderer for the planning and building designs on the project. 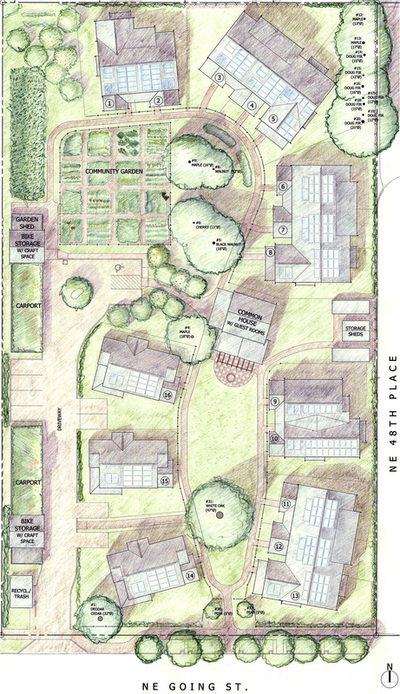 Cully Grove also includes extensive on-site agricultural and food forest installations, as well as numerous integrated green features and special artistic projects.